In order to create visual volume, the two techniques mentioned above could be combined. Microblading and Shading can be applied with different intensity and amount for certain parts of brows. Eyebrows are undeniably an integral feature of the face. A well-defined eyebrow enhance your facial expressions especially when you are smiling, but haplessly very few individuals are actually concerned about maintaining their eyebrows. 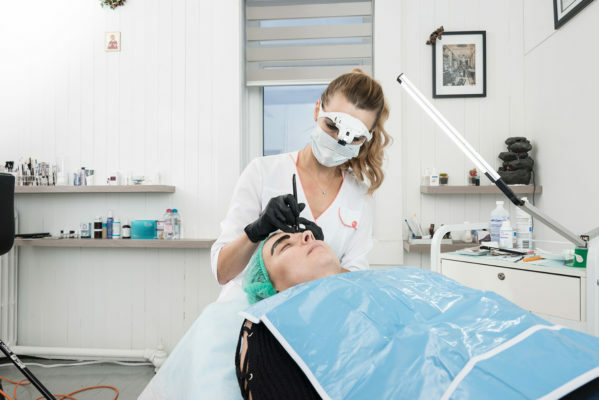 Welcome to the Olena Nardin Estetica, an eminent cosmetic clinic who strive to provide exceptional Semi Permanent Makeup Regina service at nominal cost and meet our client’s expectations. 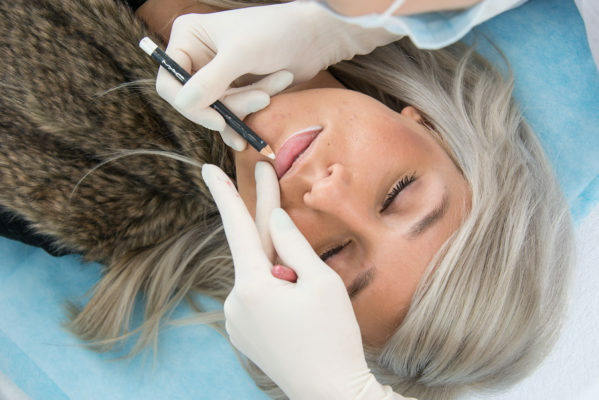 Our highly trained and proficient staff are considered an expert in the field of semi-permanent makeup and micro-pigmentation and Microblading. 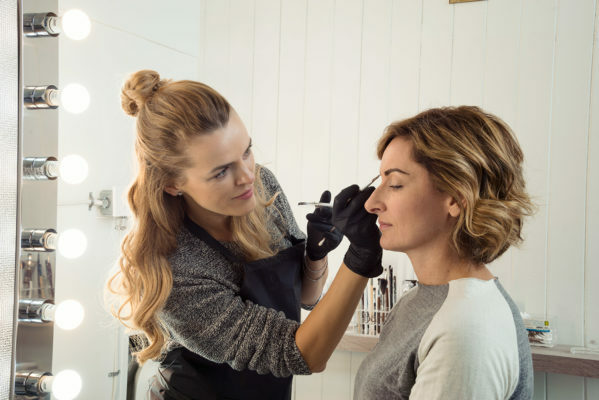 Eyebrow Microblading Regina or any other kind of Semi Permanent Makeup Regina offered by Olena will help you achieve your perfect eyebrows, eyes and lips. The changes will bring tons of compliments and you will enjoy your more youthful appearance. 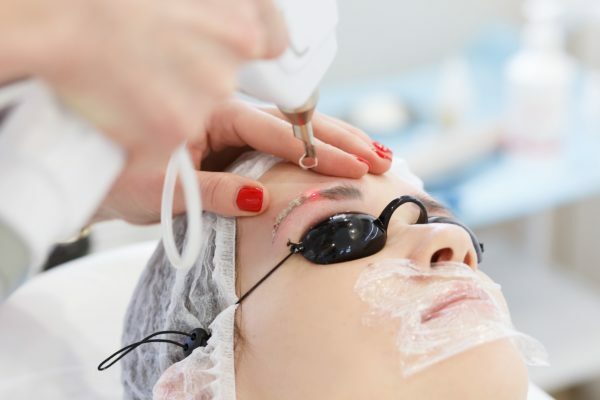 We guarantee that all equipment and materials used for procedures are 100% safe, as they are one time use only and are disposed strictly after procedure. Choose the best Permanent Makeup Regina to achieve beautiful results. Absolutely amazing! Olena took such a good care of me, – she knew what’s best for my face and I felt in good hands. Her studio is great, so clean! Thank you for everything! Great experience! Very professional and friendly! I would definitely recommend. orgeous woman doing an amazing job! Enjoying my eyebrows and eyelashes every day. Thank you so much!. She’s amazing!! I love how all the little details matter to her, she did a beautiful job. Love my manicure! A great experience!! Very knowledgeable and end result looks great!! Thanks so much, love my lashes. Absolutely amazing work! I have done eyeliner with halo and now my small eyes look much bigger with very nice shape! What I like the most, Olena has good taste and professional knowledge, so you can definitely rely on her opinion. Even the work was done on eyes (I was scared it will be very painful) I had no fear after couple minutes we started! Great job, Olena!!! I really like her work, she is awesome! She did my eyebrows and they turned out amazing! Now I’m make up free, she really saved my time, she works really carefully and accurate with no pain or stress. Thank you so much I really enjoyed it!